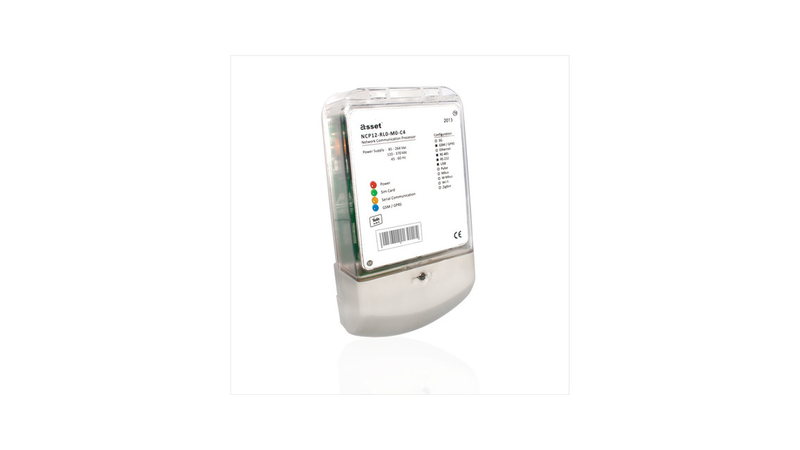 Asset NCP12 industrial GPRS communication device (Smart GPRS Modem) is used to monitor and control electricity, water, gas meters and other control equipment over GSM/GPRS network. Modem supports commonly used protocols like IEC 62056-21, DLMS/Cosem, Modbus-RTU, M-Bus (with module) etc. This enables NCP12 to communicate and transfer the read values to Head-End systems with almost all meters in the market. NCP12 Industrial Communication Device (Smart GPRS Modem) can either work with Push method where communication device reads the meters on pre-defined times and transfers the data to AMR system or work with Pull method where AMR system requests the data. The user defined readout schedules on the device, enables it to read all connected meters and send the measurements to central system periodically.